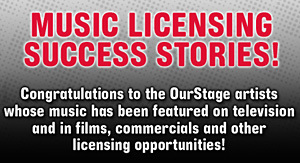 OurStage Hip Hop and R&B artists are encouraged to submit their tracks to the "Trojan Magnum Live Large Project" Music Channel. Artists can also download previously unreleased instrumental tracks from Ludacris and his label Disturbing Tha Peace, and chop them up to make them their own. Ludacris is looking for songs that best represent how to maintain the Magnum Gold Standard and live beyond the status quo. Create the best Magnum-related ORIGINAL song and you could be headed down to Atlanta! Artists must be eighteen (18) years of age or older at the time of entry. Individual artists or a band member must be a legal resident of the 48 contiguous United States. Multiple (2) song submissions will be accepted into the competition. Genres must fall into the following categories on OurStage: Hip Hop Channels including Hip Hop, Alternative and Rap. R&B Channels including R&B and Soul.